"Don’t expect transformation until you get your Senior Leadership Team (SLT) right." If the above resonates with you, come and find out what it takes for SLTs to lead and successfully drive digital transformation. o What does the ideal digital culture look like? o What are the promoters of positive behaviours? • Walking the Talk – How are we operating as a leadership team? ; Do we say Yes and do No? o What is leadership team entropy? This programme is relevant for senior management and business owners of large corporations and SMEs. Vincent is the Owner and Director of aAdvantage Consulting; specialising in business and culture transformation services. 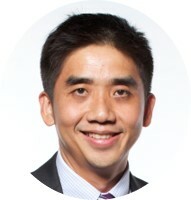 He has partnered clients in Singapore, the US, China and other S.E.A countries. His consulting focus is on leadership team, organisation culture development, customer experience and change management. He led the National Values Assessments in Singapore from 2012 to 2018, at country and workplace levels. Before aAdvantage, he was the Associate Director (Business Advisory Services) at Ernst & Young, leading the Strategy Team. Richard is currently the Chief Executive Officer of TÜV SÜD ASEAN. 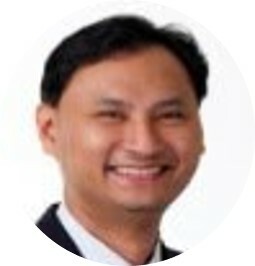 He oversees TÜV SÜD’s businesses and operations in the ASEAN region including Singapore, Indonesia, Malaysia, Philippines, Thailand and Vietnam. Mr. Hong is a much sought after speaker at international conferences and seminars and is also the key representative of TÜV SÜD in international arenas.